TMP specializes in custom hydraulic lab presses for laboratory testing of prototype and production rubber, silicone, laminate and composite materials. 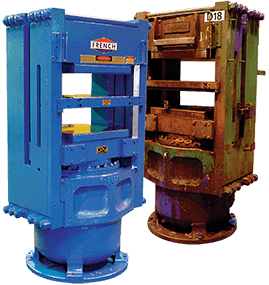 These lab presses designs are part of our TECHNI-MOLD series of presses, lab mills and mixers developed, designed and manufactured by TMP for over thirty years. Contact a TMP representative for more information on lab presses. Learn more about our custom engineering services for laboratory applications. 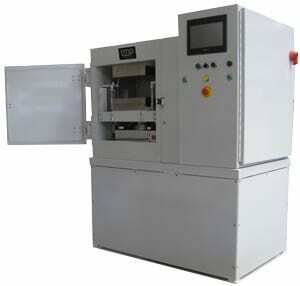 Most of the applications for TECHNI-MOLD lab presses involve the molding actual production parts, although all presses are suitable as well for molding test samples.